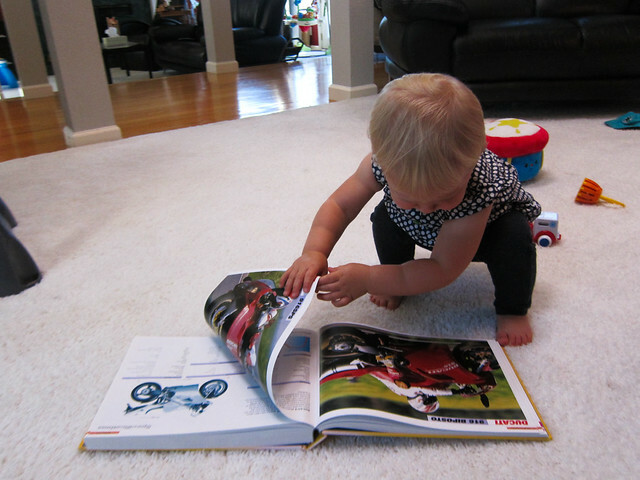 One of Kira’s favorite books lately is one I got for Christmas a few years ago called “Superbikes: The World’s Greatest Street Racers”. Â I’d had it face out on a high shelf and she pointed and yelled at me until I brought it down. Â How can I argue with such demonstrably good taste? 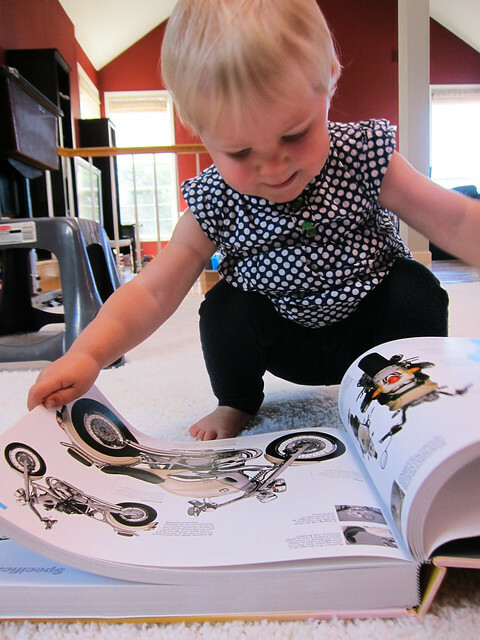 Because of the aforementioned good taste, she likes to point at motorcycles and say “bah!” (bike), so this book makes her very happy. Â So far the Ducatis are favorites, but she has been known to point out a Cagiva or Beemer along the way, too. 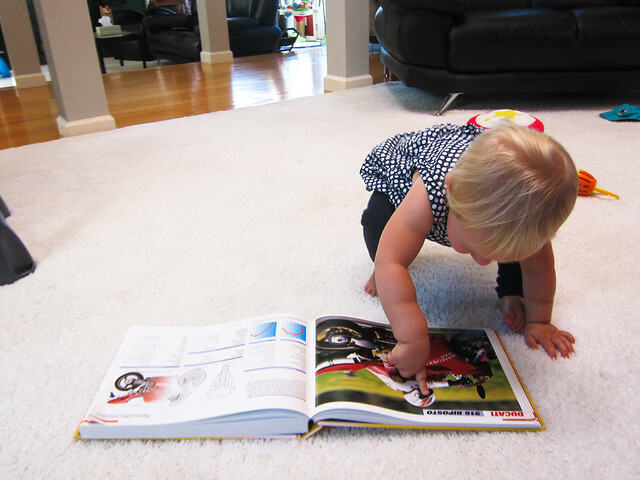 She also enjoys pointing at the riders’ helmets and happily saying “HAT!”, so at least we know she’s safety-conscious. This entry was posted in Kira, The Daily Grind. Bookmark the permalink. 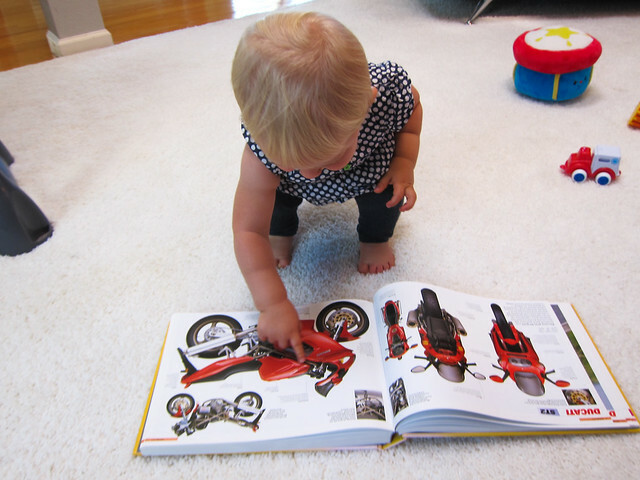 Those are just precious photos – Rider or Ducati could use them; or the Motor Company with a tagline of:… those are nice Mom, but I’ll go with the Sportster.